Where to stay in Lasko Spa Region, Slovenia? Hotel Thermana Park offers everything you require for your stay in the spa region of Slovenia. 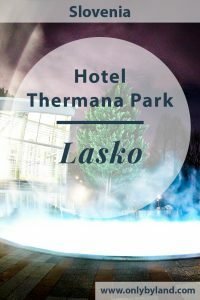 Visit the Hotel Thermana Park Lasko website for the best prices and latest offers. 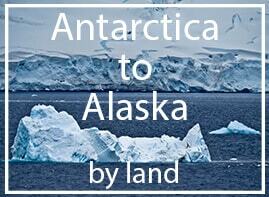 To view the latest pictures check the Instagram and Facebook feeds. For quick communication, I recommend contacting the hotel through Facebook Messenger. 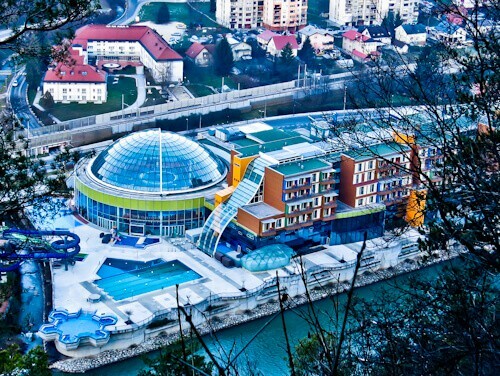 Hotel Thermana Park is located alongside the Savinja river in the center of Lasko. 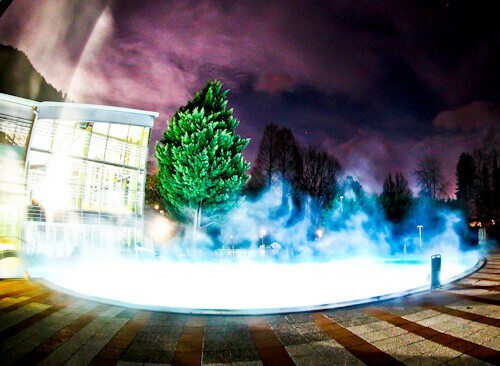 Lasko is located in the heart of the spa region of Slovenia. The truth is, it doesn’t really matter where it is because everything you require is located on site. If you’re arriving by car, free parking is provided. If you’re arriving in Lasko by train from Ljubljana, the train station is a short walk away. 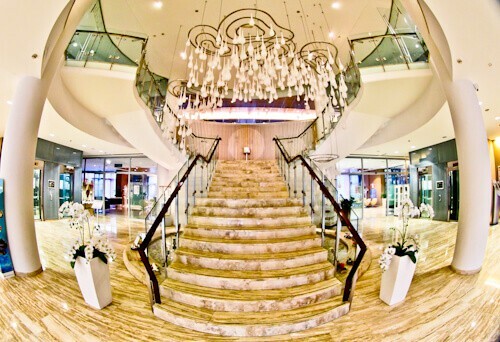 When you walk into the building, you’ll be impressed with the staircase that faces you. In fact this is a top wedding photography location in Lasko. It’s also a good location to take you Instagram shots from! In addition there’s an Instagrammable bridge connecting the hotel to the other side of the Savinja river. During the check in process, the staff will be happy to explain where all the facilities are located. You can also ask them about a Lasko brewery tour which is an interesting excursion. Each area has its own reception, so for any information on the pools, saunas, massages, wellness center, you will directed to the correct location. The guest rooms are comfortable with required amenities. In addition, there’s a balcony with either river or mountain view. There is also a minibar with fairly priced products which is a rarity nowadays. As well as fast and reliable Wifi throughout the hotel, you may connect in your room. With all the facilities of the hotel, it’s unlikely you’ll be spending much time in the guest room. If you do decide to stay in the room, you can enjoy cable channels in English on the flat screen TV. Even with all the facilities of the hotel, it’s still worth mentioning the en suite bathrooms. 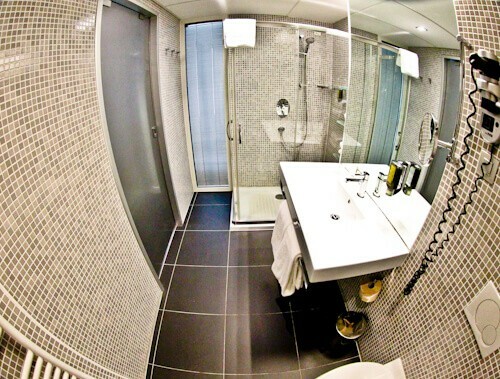 They are modern with walk in shower, additionally there’s a large mirror. You’ll also find a vanity mirror and hairdryer. The soap and shampoo comes in a large dispenser, ensuring you won’t run out. For me, the best feature of the hotel is the outdoor thermal pool. I visited in winter when it was cold and dark outside which was a good experience. I expect in summer when it’s hot and warm outside, it will be a memorable experience too. It’s proven that the thermal water is good for your skin and health. In addition, there are several other pools available, indoor and outdoor. One pool features a water chute which is perfect if you’re visiting Lasko and the spa region with kids. There are several types massages available, in fact some of the massage staff have been recruited from Thailand. 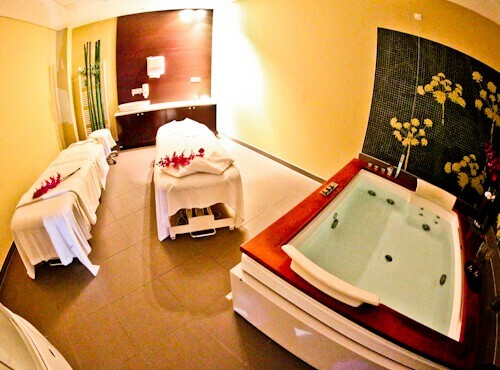 As well as the massage options, there are various spa and bath options available. You may choose a facial, body detox, hand care, waxing and body scrub as well as many others. I recommend you view the hotel price list for health spa options. Additionally there are several types of sauna available in the sauna center. For the full detox and rehabilitation experience, you may follow an Ayurvedic diet. 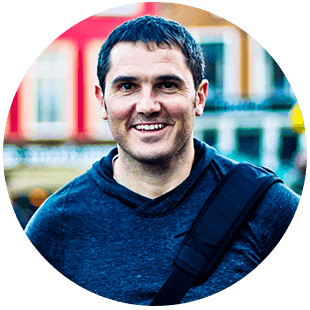 In addition, the onsite doctor can personalise the diet specifically to your needs. Ayurvedic diets can be different according to your body type or illness / injury that you’re recovering from. The word Ayurveda comes from Ayur and Veda. This translates to ‘the knowledge of life’ as Ayur means life, and Veda, knowledge. It’s over 5000 years old and originates from India. You will gain confidence from the onsite Indian doctor who is an Ayurveda expert and will knowledgeably answer any of your questions or queries on the subject. 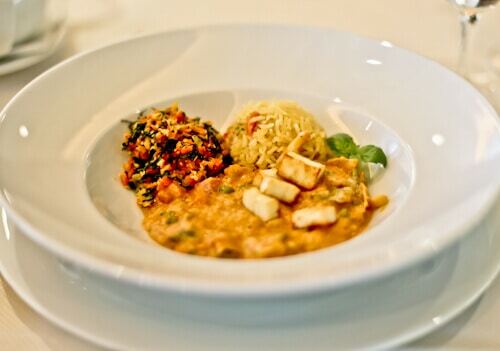 Beside the fact that this is an Ayurvedic diet, the food is also delicious! 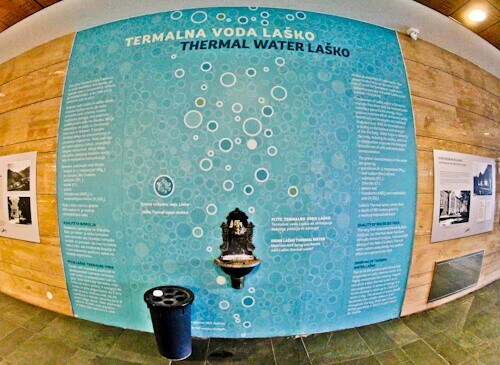 During your stay at Thermana Park Lasko, you’ll have 24 hour access to the healing water. Opposite reception you’ll find the thermal spring water fountain. This is useful if you are taking advantage of the healing water, additionally, it’s useful on those hot summer days when you’re thirsty! The onsite gym is around the corner and you’re welcome to fill your sports bottle with thermal water. Drinking thermal water is probably the best way to hydrate during your workout. For those who do not wish to control their diet whilst at the hotel, you may indulge in the breakfast buffet. It’s a full buffet which consists of a feast of breakfast options. In addition to the breakfast buffet, you may book your stay as full board. 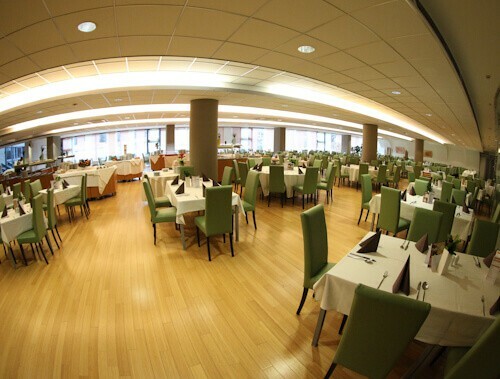 This gives you access to a lunch and dinner buffet as well as breakfast. For those who are following the Ayurvedic diet, you may visit the Ayurveda section which has conveniently been separated. This helps you resist the temptation of the buffet options. Hotel Thermana Park is definitely worth considering for your stay in the spa region of Slovenia. The facilities at this hotel are incredible. You should consider this wellness hotel if you’re visiting with family and kids, as a couple or even solo! Visit the Hotel Thermana Park Lasko website for the best prices and latest offers. To view the latest pictures check the Instagram and Facebook feeds. For quick communication, I recommend contacting the hotel through Facebook Messenger. What to see in Lasko.